In the production and processing ne of metal strips, numerous measurement variables need to be monitored, e.g. straightness, cambering and deflection. The inspection of these quantities is carried out using three optical micrometers. The two outer laser micrometers form a straight line. The middle one measures the deviation and therefore the deflection to this straight line. 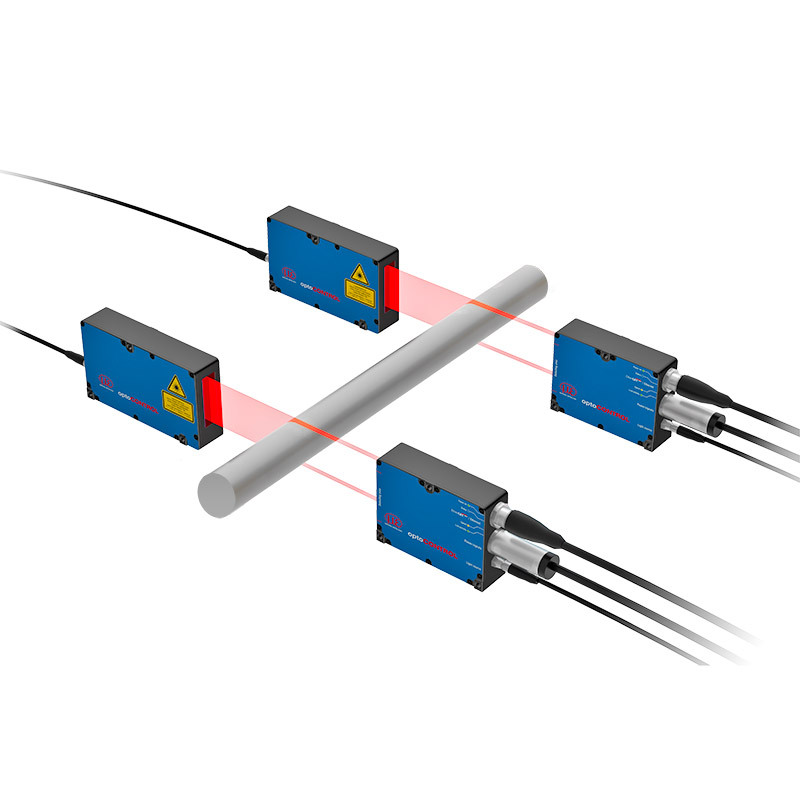 The position of the sheet edge in the laser beam is not important here as long as the edge is within the beam path of all the three micrometers.